My question is about schools for our 4-year-old daughter. We’ve applied to ASD and DAA and feel confident that either one will be a good choice IF she is accepted. As a backup we’re considering Bradenton Prep and Collegiate American School. Can you tell me what you know of these two latter schools, in terms of how good they are? Difficult one as I don’t actually know anyone that goes to either of these schools. You are right either ASD or DAA will be great choices for your child but appreciate like many schools in Dubai that their waiting lists maybe long. Bradenton Prep opened about 2009 and Collegiate American School is a bit newer opening in 2011. Bradenton Prep is located in Sports City hence a few of it’s sporting facilities may have been held up with all the delays with Sports City. Collegiate American School is from what I understand built on the campus of an existing school so the buildings and facilities are established. Collegiate is managed by a company called Innoventures who have the experience of managing a few schools in Dubai including DIA. I would suggest you visit both schools to get your own personal feelings about the schools. Location maybe something else to consider. 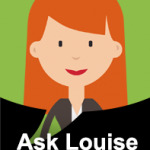 Ask Louise – Which School? a friend of mine is coming to Dubai and he would like to call you because he needs your advice. He has a son (14 years old) and needs to find a school for him. He does not use facebook, and for that reason asked me to be in touch with you. Could you, please, give me your email address? it will be very helpful to him. Thank you so much. I will really appreciate your help.